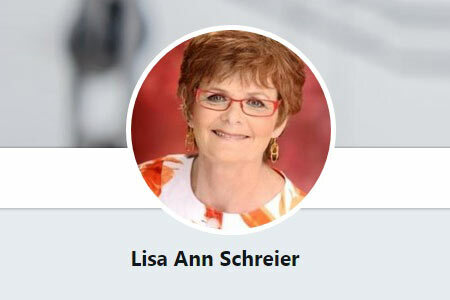 Lisa Ann Schreier is the driving force behind The Timeshare Crusader – a blog dedicated to helping consumers through the myriad of confusing information, as well as working with forward thinking organizations to be a catalyst for positive change. She is the creative force behind International Timeshare Appreciation Day, held annually on November 1st. Author of two best-selling books, "Surviving A Timeshare Presentation - Confessions From The Sales Table" and "Timeshare Vacations For Dummies." Also co-authored the college-level textbook, "An Introduction To Vacation Ownership Management." Regular speaker and contributor to the National Timeshare Owners Association and the Florida Timeshare Users Group. Featured speaker at CRDA's 2011 conference, as well as TATOC's 2012 conference. Guest lecturer, each semester at the University of Central Florida. Member of North American Travel Journalists Association. Contributor to AllExperts.com. Lead Timeshare Advocate on Elliott.org, and monthly contributor to Senior.com. Over to our interview with Lisa. Yes and no. Yes, in that the average consumer is still woefully uneducated about what timeshare is and the benefits it can offer. No, in that unfortunately, the stigma associated with timeshare, stemming from the antiquated marketing and sales techniques used by the majority of developers is still true. Sadly, no. As much as we in the timeshare community like to think that the unscrupulous players are gone, more have come to the market both on the developer side and on the secondary market side. There are a number of good guys in the market, but little if anything is being done to disassociate themselves from the bad guys, therefore the consumer is still, rightfully so, leery. And when it comes to an organized industry framework professional standards are as good as the enforcement that is in place. China and most of the Asian countries as well as India and parts of Africa. Mexico has been popular for some time now and will continue to grow. The sheer number of people who live in India and have the disposable income to purchase timeshare makes it important. Additionally, being close to so many Asians who own or will own timeshare puts the country in a great position. For most timeshare owning North Americans, India is a bit of a mystery. Although an interesting one! I think your country can take advantage of a great opportunity. By learning what has worked and not worked in the US for the past 40 years and by making timeshare a true consumer centric product in every aspect, you have the opportunity to truly make timeshare more accessible and more desirable to far more than the approximate 7% of the US population that we've been at for years on end. I believe it will. As I touched on before, India for the average US traveler is a bit of a mystery. That represents a great opportunity for your country. Quality, comfort and unique experiences will always appeal to vacationers. It sounds cliché, but it is true: Give the consumer quality for a fair price. Treat them with respect. Don't try to fool them. Don't sell to them, let them buy. And listen to what they want - before, during and after they buy.